This article was originally published by the Path to Purchase Institute. Walmart is the most favored food retail brand among both Millennial food enthusiasts and the general population, according to a “Love List” survey conducted by Conde Nast and Goldman Sachs. The mass merchant was cited as a favorite by 43% of Millennials and 35% of shoppers across the board. Archrival Amazon also made the list. Despite its lack of a network of grocery stores (for now), 17% of Millennials and 12% of the general population already call the company a favorite food retailer, putting it in seventh and 10th place, respectively. Amazon’s acquisition target, Whole Foods Market, received 39% favorability among Millennials and 32% from the national sample — third and fourth place, respectively. Among the Millennials, Target trailed right behind Walmart, and the top drug chain was CVS, which came in eighth, followed by Walgreens in 10th place. Millennials want healthy snacks and premium coffee. When price and quality are consistent, brand ethos is paramount. Yogurt brands are on the rise. 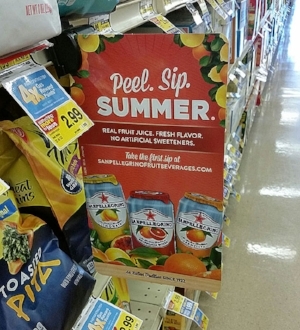 Across both retail and food brands, San Pellegrino came in as Millennials’ top loved brand. The annual study surveyed a national sample of 7,555 U.S. consumers — with a subset of 564 Conde Nast Millennial food-enthusiast consumers — and included 172 brands and 58 retailers. This is the first time its scope expanded beyond fashion. Reports indicate that another study by investment bank UBS names Walmart, along with its Sam’s Club division, the nation's dominant grocery retailer with more than 20% share of the market. The study points out that the market is highly fragmented between dozens of other players, including Kroger (10%), Albertsons Cos. (5.2%) and Costco (4.2%). Whole Foods controls just 1.4% and Amazon claims just 0.2% of the market. A similar study by Susquehanna Financial Group came up with slightly higher percentages across the board, as reported by The Wall Street Journal: Walmart (25%), Kroger (10%), Albertsons (7%), Costco (6%), Whole Foods (2%) and Amazon (1.6%). In yet another win, for the fifth year in a row Walmart nabbed the top spot in Forbes magazine's Fortune 500 ranking of the top companies by revenue.